If you're a birdhouse builder or you live with one, then you know that birdhouse designs are limitless as long as you use your imagination! 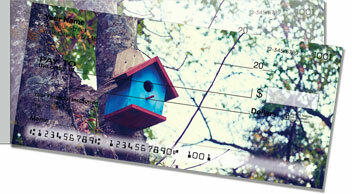 For this nature-themed check set, our photographer captured four completely different styles of hand-built birdhouses. 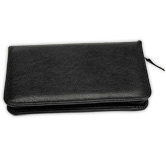 They show creativity in both style and choice of materials. That's the beauty of crafting a birdhouse by hand: it can be as simple or complex as you want. The birds are just grateful for a quiet little place to call their own. 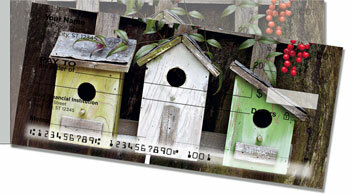 But their quaint photos aren't the only thing you'll love about our Rustic Birdhouse Side Tear Checks. You'll also appreciate the ease with which completed documents separate from the pad, thanks to the short line of perforation on the left. 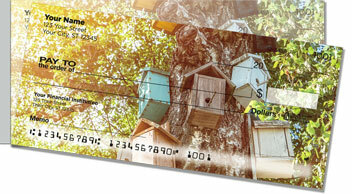 It affords better leverage for cleaner tears, so you'll have fewer accidental rips and fewer voided checks. 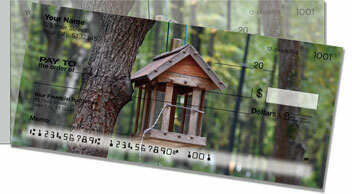 Don't delay -- order your very own set of Rustic Birdhouse checks today!